The new 7-inch Amazon Fire is cheap $50 tablet. It's available in a six pack. You never know when you'll need a tablet, so you might as well stock up. Good news: Amazon has made a $50, 7-inch Fire tablet. The bottom-of-the-line device is so inexpensive, Amazon is even selling it in six packs. Get six tablets for the price of five ($250). Stash a couple in the car, one in the bathroom, and one by the bed as an alarm clock. Stick one on the fridge for recipes, hang one on the wall for photos, and keep a stack by the door for trick or treaters. There are many dirt cheap Android tablets on the market, but Amazon (AMZN) claims its little Fire tablet is solidly made. It has a 1.3 GHz processor, a front and back camera, 8GB of storage, plus an SD card slot if you need more space. The key to the price is a cheaper but high-quality IPS display. 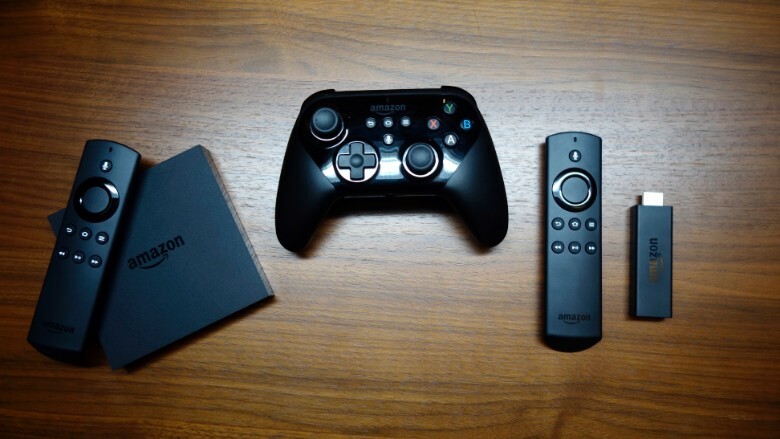 The company announced the new tablet along with an updated line of Fire TV devices and larger tablets on Thursday. There's a new $100 Fire TV set-top box with support for 4K video, and a new version of $50 Amazon's Fire TV Stick. Both come with a remote. The "voice search" button on the remote accesses Alexa, Amazon's version of the Siri smart assistant. Amazon's newest line-up of Fire TV products now work with the Alexa voice assistant. Just like on the new Apple TV, you can now speak commands to your Fire TV, even older versions. Tell it to "Show movies staring Helen Slater" or ask for weather and traffic information. (Sadly, you cannot control your Fire TV using Alexa on the Echo yet.) Both TV devices have third-party games and the usual streaming apps. There's even an optional gaming edition of the Fire TV that comes with an Amazon game controller. Amazon's new tablets include a $150 8-inch Fire HD, a $230 10-inch Fire HD, and a $100 Kids Edition tablet. Amazon says they're built to be durable, especially the kids version. It comes with a colorful bumper case and a no-questions-asked 2-year replacement guarantee if your child manages to destroy it. 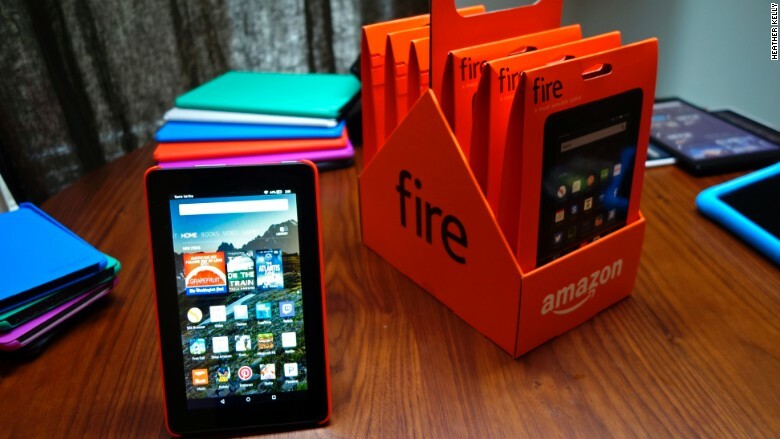 All the new tablets run Fire OS 5, the newest version of Amazon's Fire operating system. In addition to design and performance improvements, OS 5 includes a very odd new feature called Word Runner. The speed reading tool shows one word at a time on your screen. Supposedly it helps you read faster and improves reading comprehension. Amazon approaches its hardware pricing in a unique way. Its products are designed to be margin-neutral, meaning Amazon doesn't make a profit of the sale of the devices themselves. Instead it makes money down the line when customers use tablets or TVs to buy Amazon content, apps, or physical products through Amazon's store. That business plan is obvious as soon as you use an Amazon device. Each screen seems filled with recommendations of other Amazon content for you to buy or rent. But before you complain, remember that you're viewing those recommendations on a $50 tablet strapped to your bike's handlebars.